Yakimix Philippines is the ultimate Japanese, Asian, and western cuisine eat-all-you-can dining restaurant! For less than Php 700, you can enjoy a sumptuous seemingly never ending serving of buffet meals! I prepared for the experience. I was supposed to not eat the whole day but I can’t take it anymore so I had a short meal early afternoon before we head over to MOA that day. Still, I believe I was hungry enough to eat as many as I can. 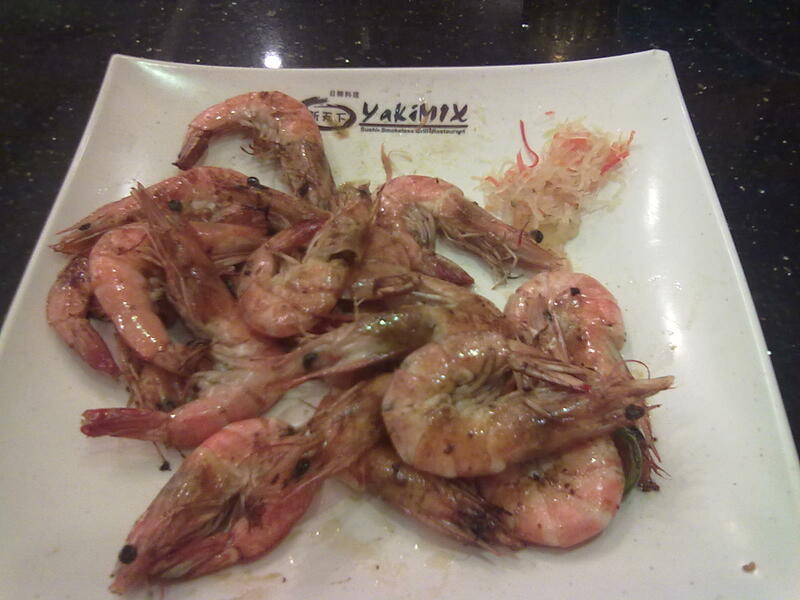 I intended not to eat rice as well and planned on focusing on the seafood, most especially my favorite shrimp and crab. Too bad there was no crab at the time we reserved a seat. My battle plan actually failed. I only finished a plate with a little additional on the sides. But at least I ate as many shrimps as I can in tempura style and every other type of cooking there was for shrimps at that time. Mind you, there is a penalty for not finishing your plate so it would be best to take it slow. Just fill up your plate with what you can actually eat and come back for more once you’ve cleaned your first serving. 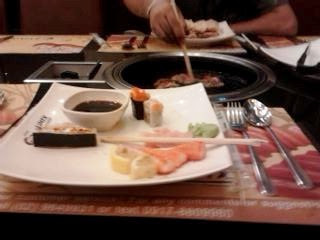 Going back to Yakimix MOA, yes, you need to make a reservation prior to coming in because several groups will be waiting for their turn as well. This applies in the MOA venue at least but I can’t say the same for the other branches. We booked long before the place was open. You can do that right where the waiting receptionist scribbles reserved seats and customer’s names on their log book. Incidentally, they had a long afternoon break during that day so we waited about an hour or so until they opened early evening. Back to Yakimix MOA, this specific branch was very accommodating and cozy. Benches and tables were plenty and spacious. 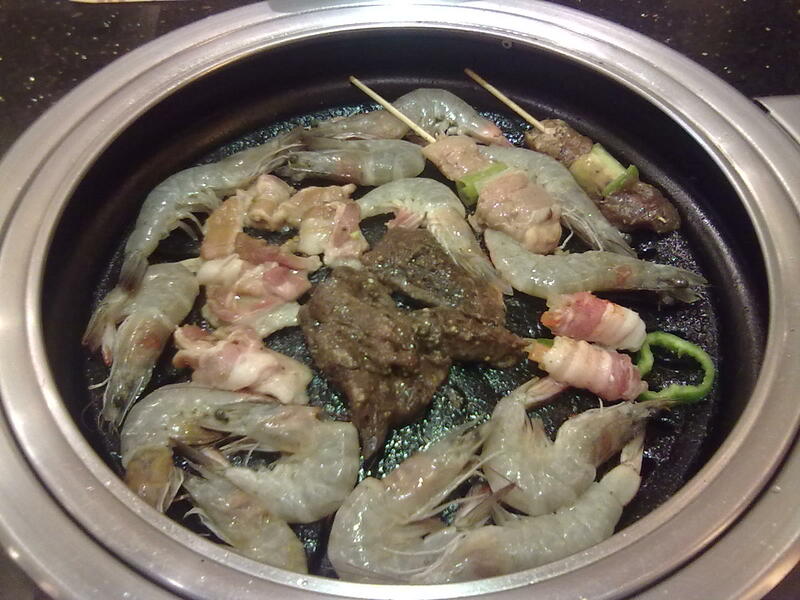 It was complete with the typical barbecue grill in the middle of the table which is common amongst our Asian neighbors. This branch is also strategically located in front of SM by the Bay, fronting Manila Bay. The buffet area is neatly located at the far left, away from the main entrance door. 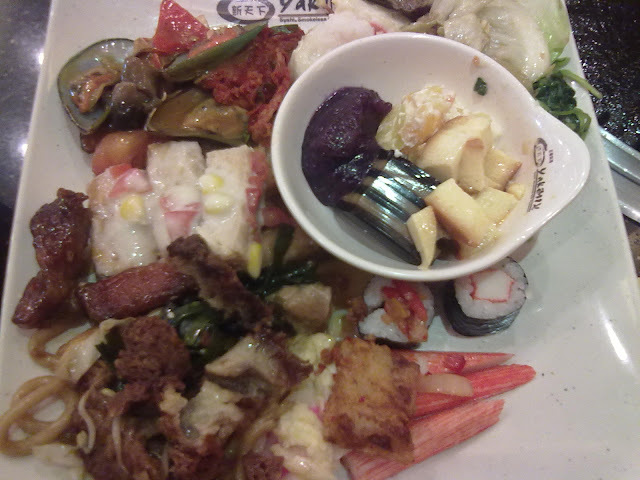 Each type of food is also grouped perfectly together. Western food is aligned on one side, including Italian (pasta). The same applies for other dishes such as Filipino, Chinese (noodles), Korean (kimchi), Japanese (maki, sushi, tempura, sashimi, etc. 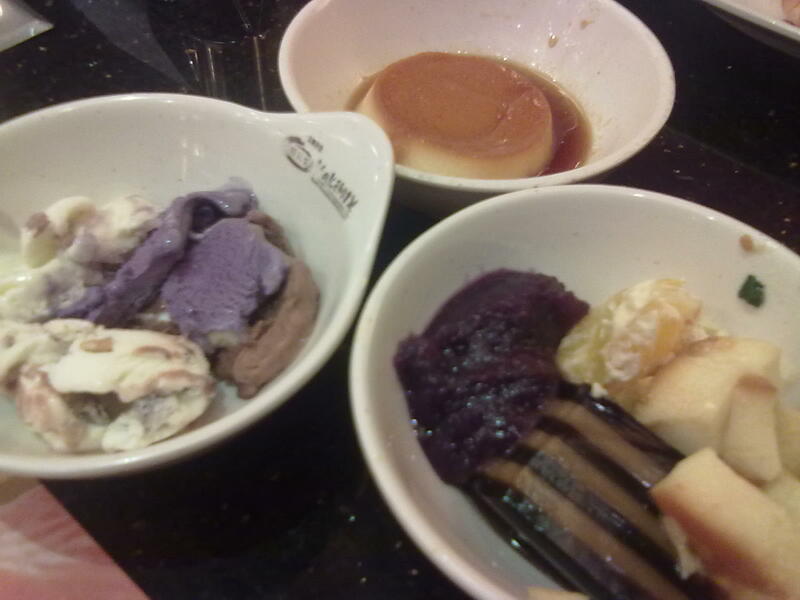 ), dessert (cakes, halo-halo, leche flan, ube, ice cream, kakanin), and drinks. The latter is actually not yet included in the food bill. I don’t remember anything special with the food. 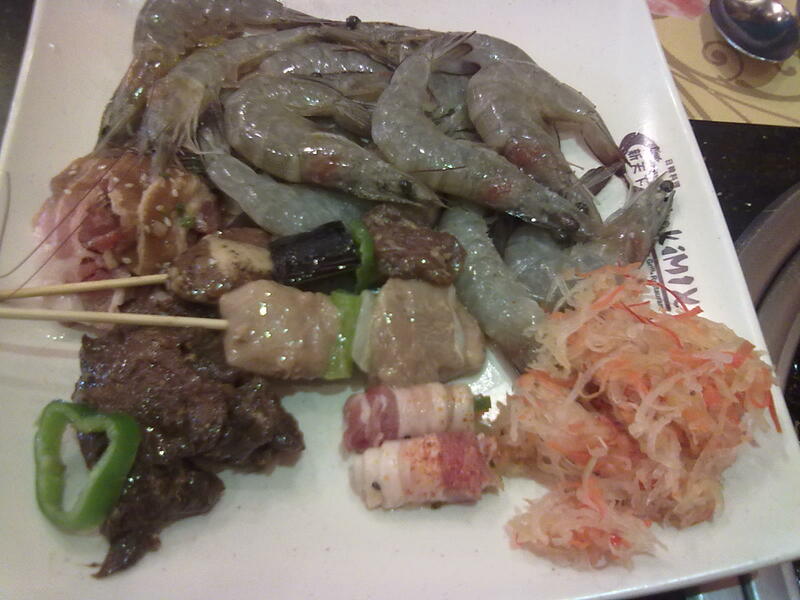 The Japanese dishes for one are your typical type. But there were dishes I haven’t seen before. Apparently, they were gourmet special recipe added on the menu. I love the desserts though and I was still able to stuff my stomach with them even if I was already too full. I am also a fan of their mash potato. This is the place to be for everyone who loves to eat and can feast on as many as they can. 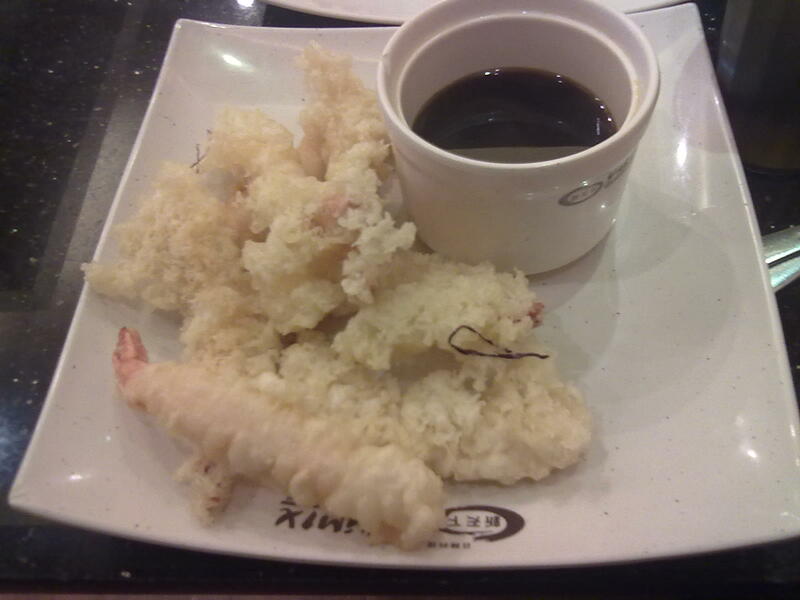 Plus points are for you if you love Japanese and other Asian cuisine. 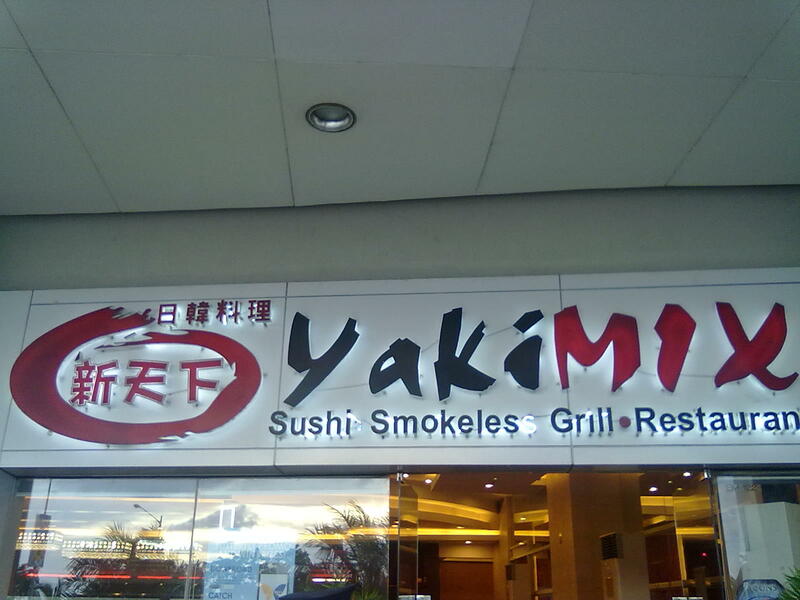 For more information including branches, prices, and hours of operation, you may refer to the Yakimix Philippines Facebook page.